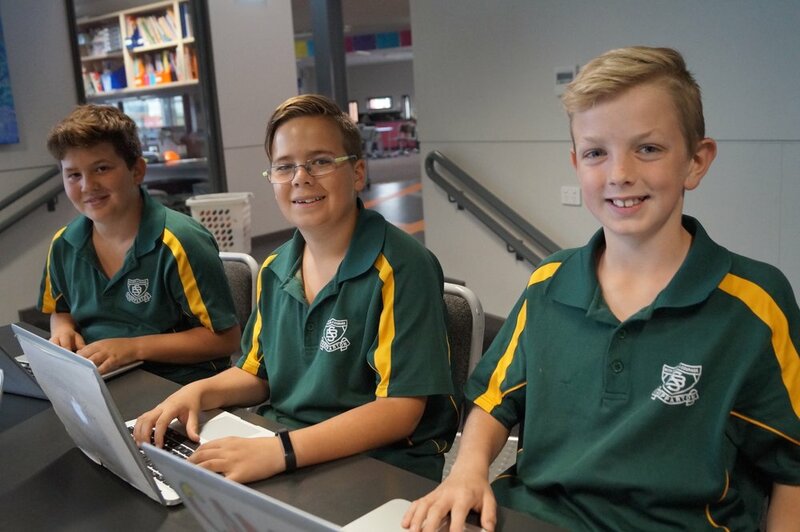 At St. Brendan's we have five Year 5/6 classes in an open, flexible and adaptable learning space. The provision of 1:1 Apple Mac Notebooks for our senior year students has further motivated students and developed students capacity as independent learners and thinkers. Our classrooms are becoming places where small groups and individual students are pursuing a range of activities and tasks, enabling students to interact, collaborate and inquire. In Numeracy and Literacy, students work in groups that allow the teachers to cater and provide for individual needs of all students. Children work with various teachers within the Senior Years which assists students with the transition process to Secondary School. St. Brendan's Senior Year students have a 1:1 laptop program with each child having access to a Mac Book everyday. Information and Communication Technology is a driving force in the 21st Century therefore all students have access to Technology in all areas of the Curriculum. Students use Google Apps for Education where they create their own Google Site, use Docs, Slides and Web 2.0 tools to further their learning.